Let’s be honest – everyone could use a little extra cash here and there. Whether you are living on a shoestring budget, or have plenty of money to spare, having extra cash around is always nice. If you fall into the former category of Americans, then chances are cash means more to you than simply a bonus sum of money. The fastest way to fall into a cycle of bad debt, is to miss paying your monthly bills and neglect your own personal finances. 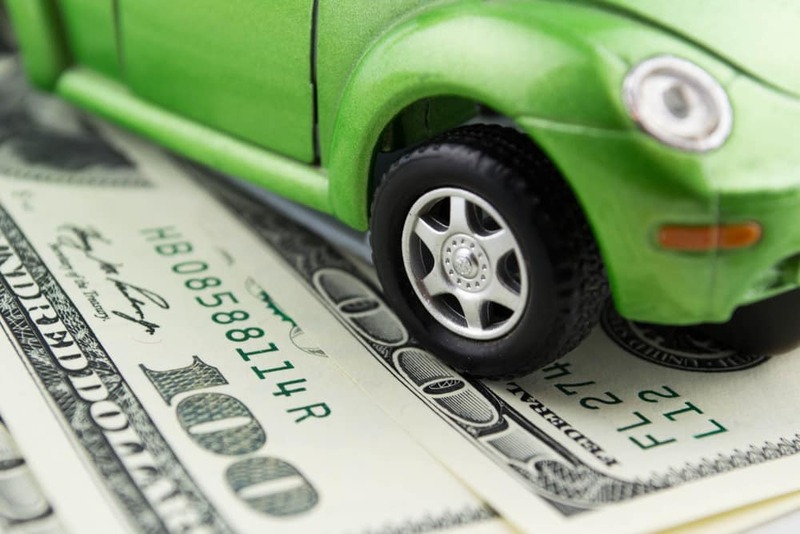 If you are in a pinch and need cash sooner than later, consider the possibility of selling your car for cash. Of course, if you need your vehicle, this may not be an option, but if you rarely rely on it to get around – selling your car can be the perfect way to catch up on your bills and have some spending money left over. As great as this option sounds, you may be wondering How do I sell my car for cash? The question is more than valid, and the answer is surprisingly easy. DePaula Chevrolet is already a trusted name in used car sales here in upstate New York, and known as a reputable dealership that wants to buy your car for cash. While most people associate car sales with big box corporations like CarMax, DePaula Chevrolet is a local family-owned dealership that cares about helping you out when you need it most. If you happen to live closer to the nearest CarMax location than you do DePaula Chevrolet, don’t count out all of your options just yet. CarMax may be best known for buying used cars for cash, but DePaula Chevrolet does it better. Check out why the extra time to get to DePaula Chevrolet is worth it, and why more people are opting to sell their cars to Albany’s most trusted used car dealership, and not to CarMax. There are a lot of reasons why selling your car to DePaula Chevrolet is more beneficial than bringing it down to CarMax. Read on to find out why people are turning their cars into cash with DePaula Chevrolet, and not CarMax. Locally Owned: The importance of small, locally-owned business in America can’t be overstated. You have all heard it preached in the past, but it is well worth mentioning on this list as well. CarMax is a corporation, that is not at all invested in the communities in which it operates. The number one goal is not to help the city of Albany grow and flourish, but to see its corporate bottom line increase. While all businesses need to make a profit in order to thrive, DePaula Chevrolet keeps money circulating throughout the Albany area, while CarMax distributes it across the entire country. Small, locally owned businesses are vital to the success of America, and opting to do business with DePaula Chevrolet, rather than CarMax, is a choice to put our proud community first. More Money For Your Car: If preserving and increasing the economic stability here in Albany isn’t enough to convince you to sell your car to DePaula Chevrolet over CarMax, perhaps more money will. After all, money speaks louder than words. If you head to CarMax and get an appraisal for your current car, come into DePaula Chevrolet with your written offer within seven days, and we will give you $500 more than CarMax. Or, you could come to DePaula Chevrolet first, because our $500 guarantee proves that our dealership is committed to offering sellers the most fair price for selling their current cars. The choice is up to you, but if making the most possible money interests you, come down to DePaula Chevrolet. Clunker? Junker? Complete Flunker? We Will Buy It: You need cash, right? Maybe your car isn’t in the best condition, and has likely seen much better days. Or, perhaps your vehicle is coming up on its twentieth birthday, and you are doubtful that anyone will want to buy such an old and outdated vehicle. Before you buy into that doubt, bring it down to DePaulaChevrolet. CarMax will laugh at the sight of a tattered, worn out model from two decades ago – but not DePaulaChevrolet. If you bring it to us, we will make you a cash offer on the spot. Stop worrying about whether someone will want to buy your car, sell it to us, and we will take on that worry for you. You Don’t Have to Buy a New Car: One of the myths about selling your car to a dealership like DePaula Chevrolet is that you will be on the hook to purchase a newer model to replace it. While you are welcome to check out our extensive selection of high quality pre-owned vehicles during your visit, you are under absolutely no obligation to buy a car when you sell us yours. Simply bring your current vehicle to DePaulaChevrolet, and one of our expert technicians will inspect it. Afterwards, we will offer you cash on the spot to buy your car, which you can take, or think about for up to seven days. Whether you leave on your first visit with cash in hand, or a written offer – you will walk away with the promise of cash, one way or the other. Stop stressing out about money. Sure, we all need it to get by – but it shouldn’t have the power to control our lives. If you need cash now, then consider whether or not you can go without your vehicle for a while. If the answer is yes, then bring it to DePaula Chevrolet and turn it into cash. Sure, you can spend some time over at CarMax trying to sell your car to those guys, but we will be here waiting when they give you a lowball offer you wouldn’t dream of accepting. Come down to DePaula Chevrolet and get to know us, see what we have to offer, and determine whether selling your car to us makes sense for your current situation. We can’t wait to meet you, and show you around.